We care about you ~ We care about your mornings too! 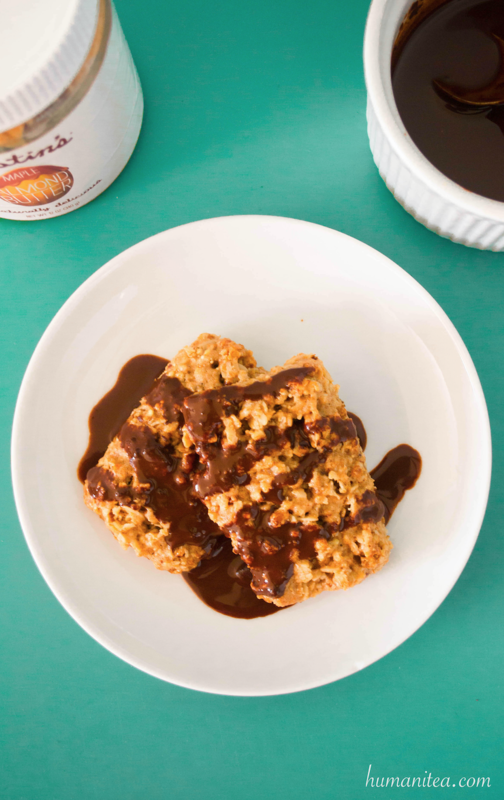 Why not start the day out right by adding some of these delicious and sweet soft almond butter bars to it! Say hello to the suns rising with something delicious in front of you that offers that morning kick you need to get going, and doesn’t forget the fact that you need your a.m. coffee too! Preheat oven to 350 degrees Fahrenheit. Meanwhile, line a cake pan with parchment paper. Next, in a medium mixing bowl add all dry ingredients. Make a gap in the center of the dry ingredients, and in the center add all wet ingredients (almond butter, 1 Tablespoon almond milk, maple, vanilla). Mix ingredients together until well combined. Depending on whether your mixture is too wet or dry, add a couple more sprinkles of flour, or add a splash or more of almond milk. Pour mixture now into cake pan, and evenly distribute in pan. Allow cooling before cutting or knife-shaping into bars. Begin by preparing your fresh Humani-T Organic Fair Trade Coffee. Reserve some for sipping on the side 🙂 . Otherwise, you’ll need ½ cup of it to make the sauce. Next, in a small saucepan, add all ingredients, minus the dark chocolate chips, and stir well. Turn on stove now, and over medium heat bring this to a boil, and then reduce heat and allow to simmer for approximately 4-5 minutes. Add in dark chocolate chips at that time, and stir until melted and well incorporated. Remove from heat. 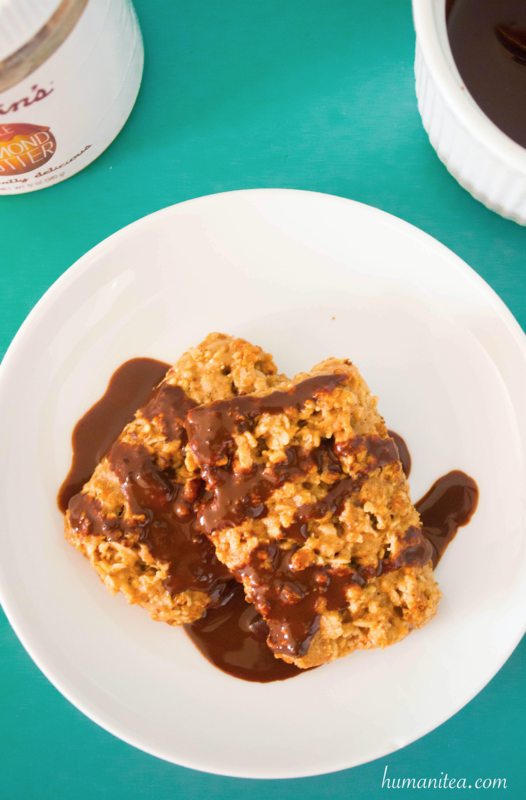 Allow sauce to partially cool before spreading sauce over your freshly baked soft almond butter bars. *Love this recipe? Remember to spread it and tag us on social media! Also, don’t forget that we have the solution to all of your baking needs in our shop! From coffees to teas, tea tools, cups, and other cool swag. Just visit: http://humanitea.com/shop/.